What we do here at GreyB is try to find out the things that may not look similar on the surface but might still be working in the same way. Our clients say that tough infringements are the one where information is not easily available, products do not describe how they implement the functionality, no discoverability etc. We believe it’s not about information availability; it’s about how you discover it. It needs in-depth analysis, reading within the lines, sometimes testing and using the products to prove that product maps on to the claims of the client patents. Here is an example of one such tough infringement that we cracked resulting to very large damages. Our client patent claimed a functionality achieved through a circuit and our objective was to identify the products that use the same functionality. 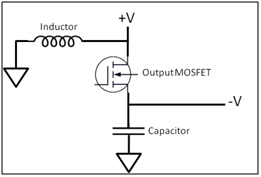 During our analysis we found a circuit included in the datasheet of an IC. Below are both the circuits. Circuit A represents the embodiment based on the functionality claimed in the patent. Circuit B is the circuit present in the datasheet of one of the product that we were analyzing. 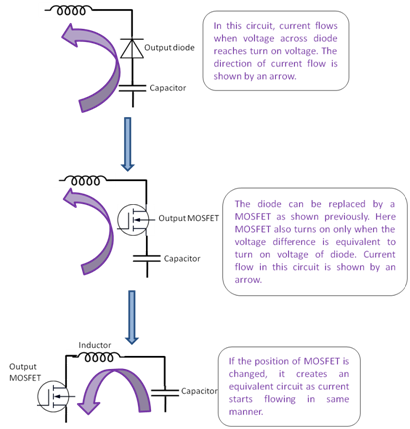 As soon as we came across Circuit B, we knew that diodes can be replaced by MOSFET when efficiency is desired. Using this we were able to show that the product is using the same methodology as that of the claimed patent. Later while review the datasheets of other ICs, we identified most of them were using a variation of the circuit B all of which were achieving the same function as of circuit A. Thus, we were able to identify various ICs from large companies which were using the technology as claim by our client’s patent. GreyB has proven expertise for performing product reverse engineering tasks to locate the evidence of how the claim element is present in the product. Reverse engineering is performed to have confidence on the read on of your claims on the product literature. Here our extremely responsive engagement model plus post delivery discussions give immense value for money. These types of investigations are aimed at finding the use of the patent claims in products available in the market. GreyB identifies multiple products with infringing potential and our reports include claim-based analysis to identify mapping of the product technology on the subject matter of the claims. We analyze products to ascertain if they infringe on clients patent claims. Developing claim charts to indicate infringement. This type of research is performed once the detailed analysis of products is justified for infringement potential. GreyB will prepare detailed claim charts, clearly pointing out how each element of the patent claims are demonstrably present in product. The evidence in the product is either shown through product manuals or technical specifications or by performing destructive or non-destructive reverse engineering to ensure a complete and thorough read-on mapping. With our exceptional talent in technology analysis, we are adept in thorough analysis of patent claims and prosecution history to determine the scope or interpretation of the patent claims. This type of analysis is extensively used to interpret the extent of the specifications of the accused product to prove or disprove infringement. Patent Commercialization: Are You Considering Non-Infringing Alternatives?